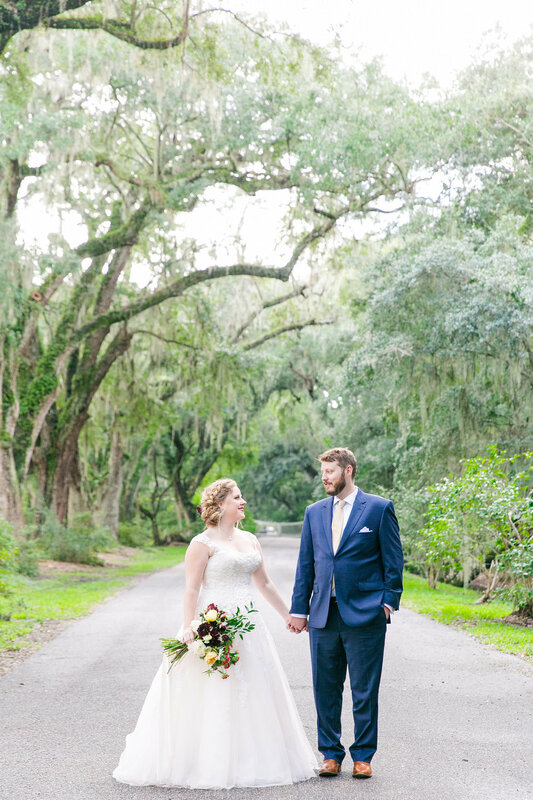 On a lovely Friday afternoon, Kira + Brent tied the knot at their Magnolia Plantation Carriage House Wedding. 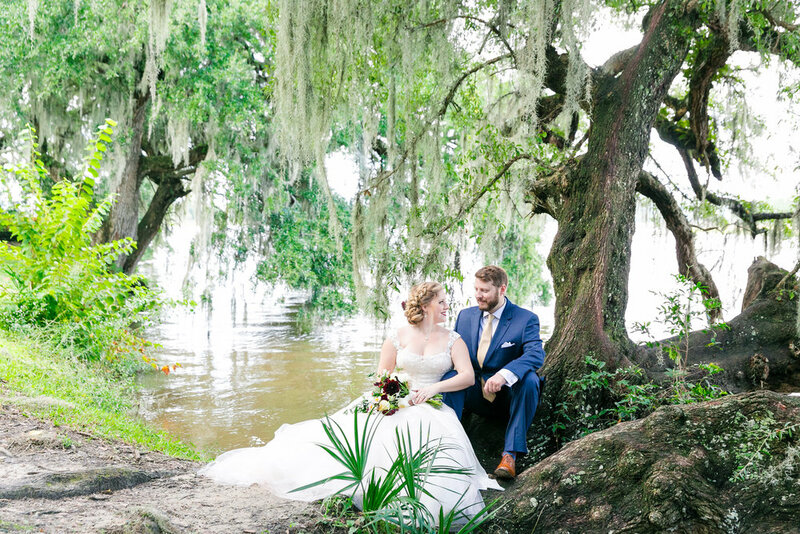 After an intimate first look, exquisitely captured by Dana Cubbage, the ceremony was beautifully set up underneath the large oak. The bridesmaids making their way down the aisle in mismatched burgundy, pink and purple dresses before Kira, looking stunning in her blush tulle gown and bold red lipstick. 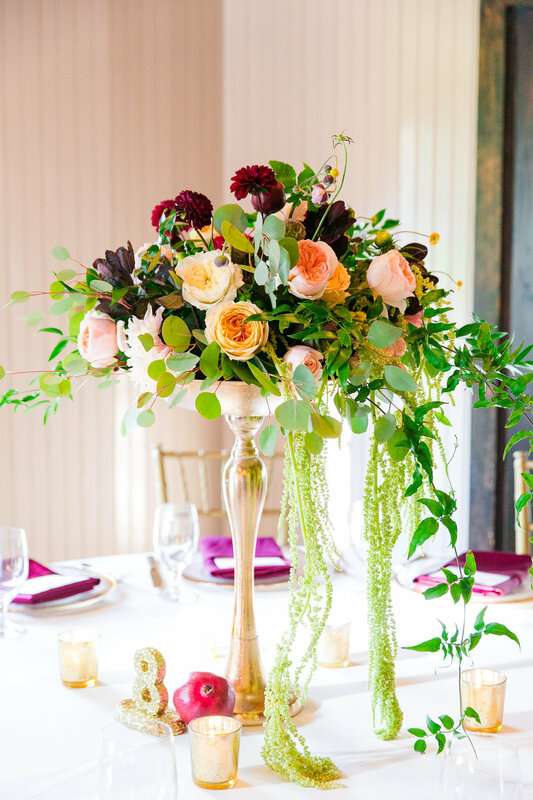 Inside the carriage house, the 2 white farm tables, making up the head tables, were adorned with gorgeous centerpieces filled with flowers of sandy pinks, burgundy, and touches of white and green. 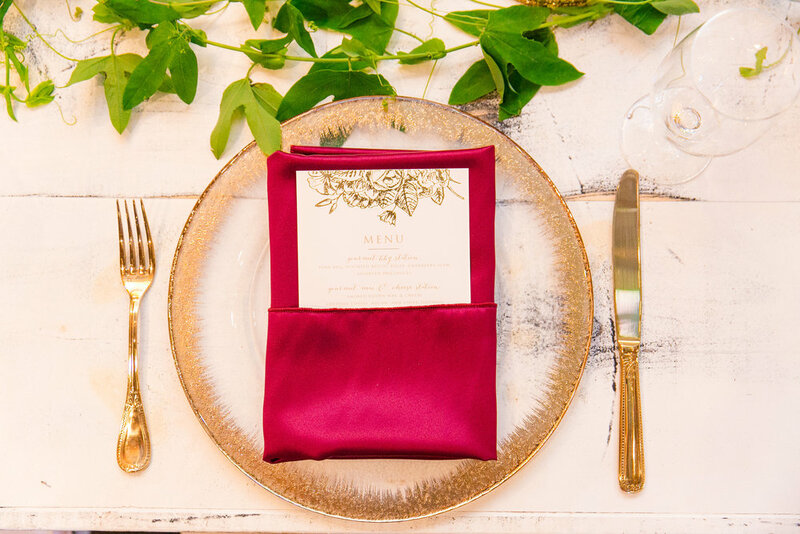 Pomegranates were incorporated into the tabletop to add some texture and accent the deep fall hues. The wagon wheel chandeliers were embellished with complementary florals to the centerpieces. After a fun night of eating, drinking, and dancing the night away, the newlyweds departed the reception via vintage Rolls Royce as Mr. + Mrs. Greenberg! Thank you to our fabulous vendors!